We’ve been working hard to #GetOrganized around the house. 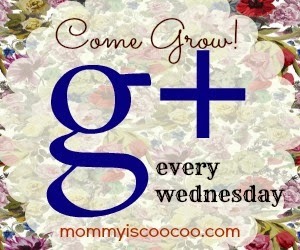 And on the blogging side of things, maybe you’ve even been thinking about get organized and growing on Google+ too! ha! I’m mean we’ve all heard by now that Google+ is the place to be for better SEO and increased website exposure. So come on already, let go make friends and grow our circles (followers) on Google+! Twice monthly Fresh Idea Studio co-hosts the mommy is coocoo Google+ Link Party HOP and I’m so happy you joined us today for the fun G+ hop! 1. Add all of the cohosts to one of your circles. 3. Share a post to the public on Google+ with the hashtag #mommyiscoocoo. 4. Socialize – The more shares a website or blog post the better!